The Great American Freedom Sale at U.S. POLO ASSN. 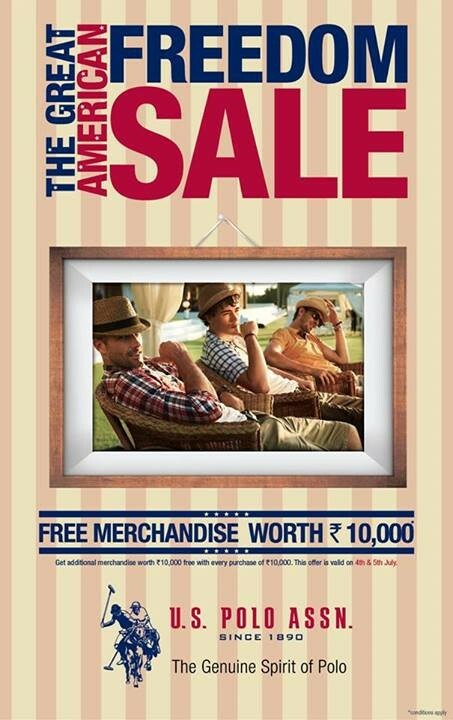 on 4 & 5 July 2013 - Get additional Merchandise worth Rs.10,000. with every purchase of Rs.10,000.